Here comes the sun! Absolutely stunning oversized windows with transoms throughout the 4 Bedroom, 3.5 Bathroom home along with the open concept floor plan allows a ton of natural light to stream through the living room, dining room, great room, and into the gourmet kitchen with a new double drawer french door refrigerator. Enjoy the luxurious master suite with 2 walk-in closets and spa-like bathroom. Finished lower level with recreation room, bedroom, and full bath- entertain with ease using the walk-out to the fully fenced yard and custom stone patio. Enjoy the privacy of living on a cul-de-sac and all the community has to offer with multiple tot lots, basketball court and 8+ miles of hiking trails. Immaculate, well- maintained home. Hurry, this will go fast!!! SchoolsClick map icons below to view information for schools near 11201 Callie Jo Ct Bealeton, VA 22712. 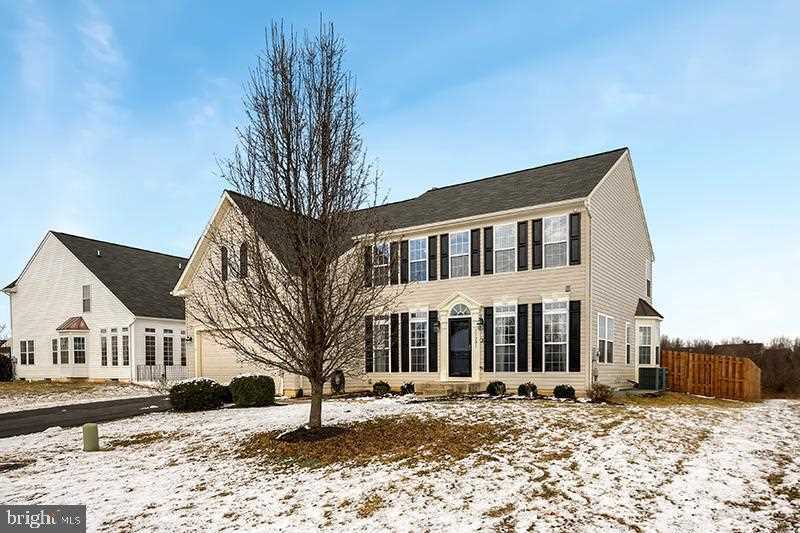 Home for sale at 11201 Callie Jo Ct Bealeton, VA 22712. Description: The home at 11201 Callie Jo Ct Bealeton, VA 22712 with the MLS Number VAFQ133594 is currently listed at $425,000 and has been on the Bealeton market for 77 days. You are viewing the MLS property details of the home for sale at 11201 Callie Jo Ct Bealeton, VA 22712, which is located in the Southcoate Village subdivision, includes 5 bedrooms and 4 bathrooms, and has approximately 4152 sq.ft. of living area.